Hello and welcome back once again to PTOTPA, and to hopefully what will now become fairly regular blogging! For those who don't know, I'm now back in the area full time, and commenced employment with Plymouth Citybus around a month ago now. As part of my Transport and Logistics Management degree, we have the option to do an official year out in industry to boost our degree classification, and of course to gain valuable experience in a real job, applying all the theory we've learnt up until now. Richard Stevens has been very kind in taking me on for the year, and the opportunity laid out in front of me sounds truly fantastic! Unlike what other operators had offered me for the year, PCB has in essence given me the 'freedom of the depot' to work in a whole host of departments throughout the year, rather than just being stuck in one position and told to get on with it. Within my first month I have completed the driver training course, and am now a fully qualified driver ready to go out on the road from tomorrow. 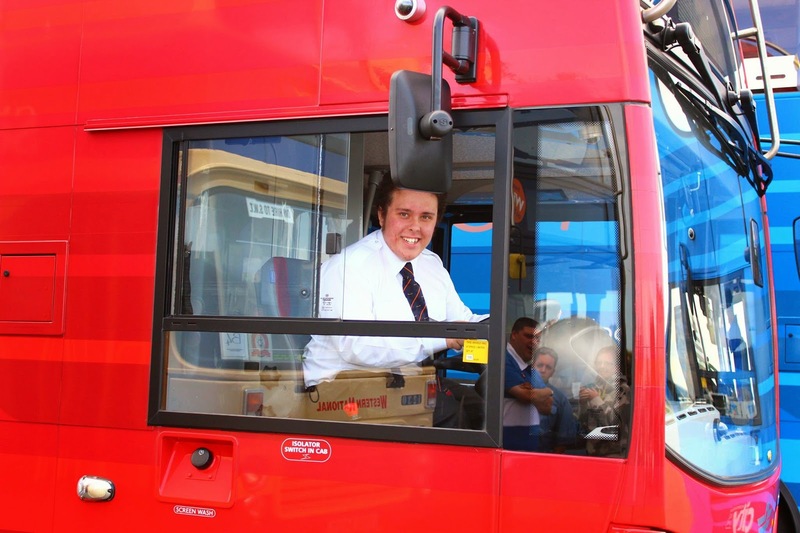 It's been an extremely exciting first month, finally fulfilling a lifelong dream of driving a bus on the public highway, and already I've gained huge appreciation for what bus drivers do every day, it's certainly not easy! The sheer amount of forward thinking and planning involved in threading a 40ft vehicle through a busy town, or even a quite suburb is quite remarkable; you can't just react to developing situations like you can in a car; every eventuality must be anticipated to avoid any mishaps! It's also of course far more than just the driving, and indeed understandably, the new recruits are made very aware that this is becoming more and more of a customer service industry, not just a tool for movement. So on top of driving, all new driving employees go through extensive customer service training and disability awareness, as well as other essentials for the job such as ticket machine training (absolutely mindboggling! ), and of course, route learning! Learning some 30 routes before being let loose in service is no mean feat. Luckily of course I'm at a huge advantage having ridden on a majority of Plymouth's routes more times than I care to think, but for people new to Plymouth, or even native Plymothians, remembering that quantity is certainly a test. Thankfully all new drivers are sent out with a mentor for their first week of driving which is a chance to re-cap quite a few of the routes to hopefully avoid any errors when they're sent out alone. 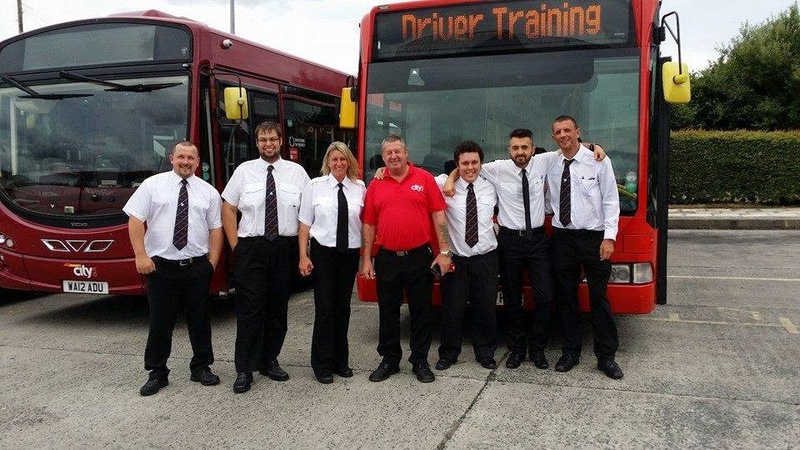 The driver training team I have to say are absolutely excellent at what they do, all very passionate and enthusiastic individuals (practically all of which have come out of the services!) who really identify issues and mould their teaching around individual's needs. After my 'mentor week' this week I go solo in service on Tuesday 12th which happens to co-inside with the British National Firework Championships, and I'm on a late shift! That's certainly going to be a baptism of fire! I'll then be out in service for the next 2-3 months to gain a decent appreciation for the job before moving on into other sectors of the business including operations, commercial, engineering, and schedualling, as well as others on top of that no doubt. An incredibly exciting year ahead!